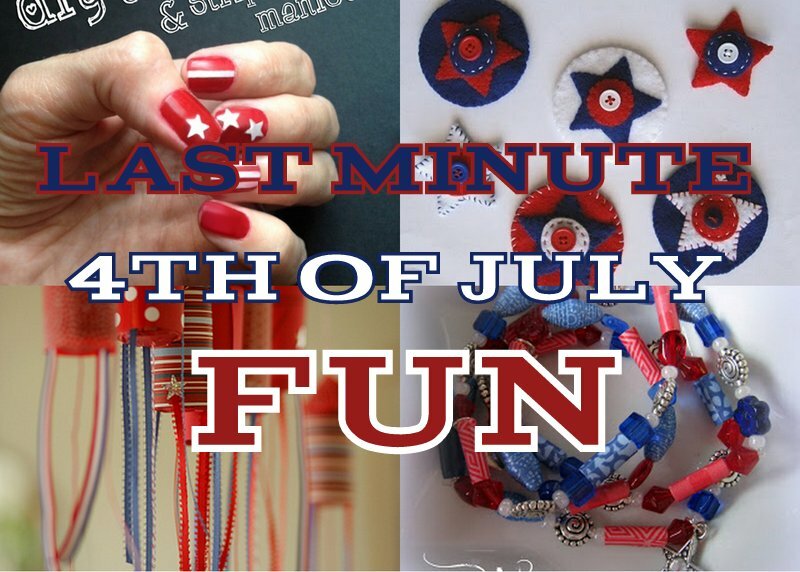 Pack lots of fun into Fourth of July with these easy patriotic crafts. Some are great for keeping kids busy, too. 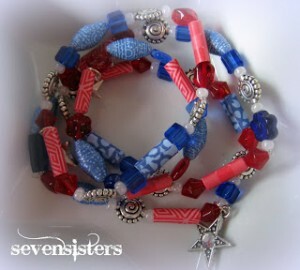 And they’re all red, white, and blue! 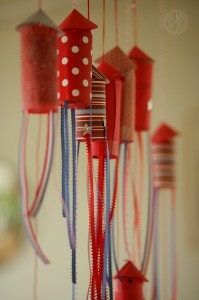 Everyone will have a blast making Fourth of July Confetti Popper Rockets and then popping them! 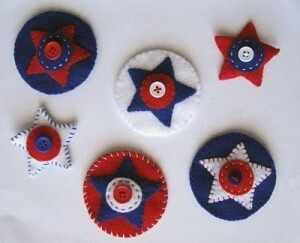 This Felt Star Clips Tutorial is a great kids sewing tutorial, too. Gather the troops and show them how it’s done! 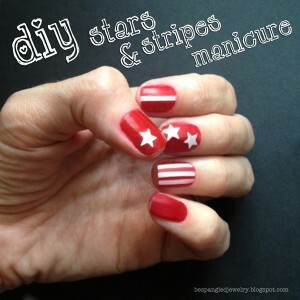 Decorate down to your toes with this Stars and Stripes Manicure. So cute!